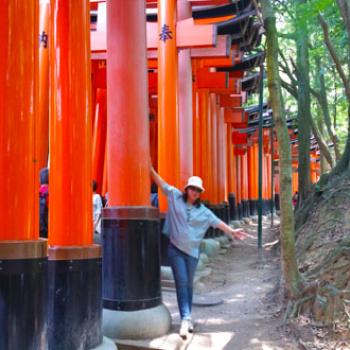 We still went on despite the excruciatingly hot weather. 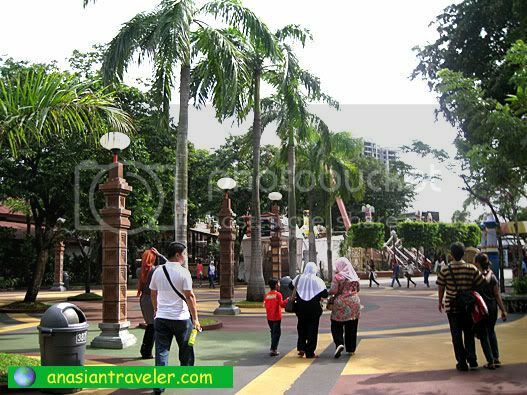 Our next stop was Indonesia section in Dunia Fantasi. 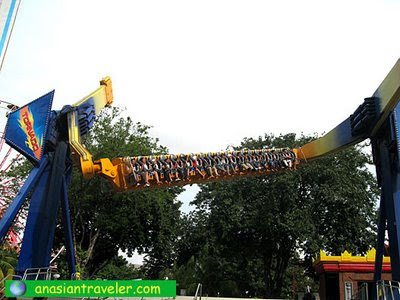 The Tornado ride that looks like a giant transformer figure instantly caught our attention. Hb wanted to try but he didn't want to ride alone. And I'm not daring enough to step out of my comfort zone. Yeah, I know I'm a scaredy cat. So, we just contented ourselves watching these insanely enthusiastic riders. I looked for a comfortable place and sat underneath a tree on a cement bench while hb sat on the ground near the ride vehicle. 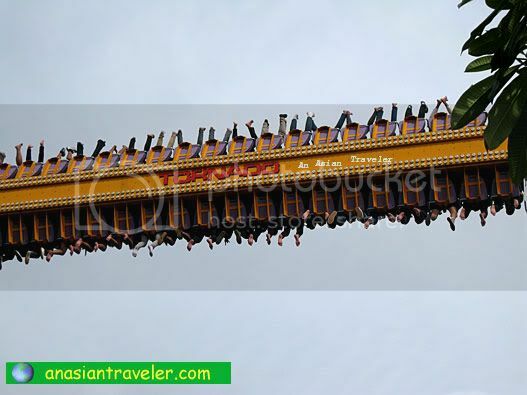 I had a good belly laugh just watching the riders' faces changing from smiles to nervous, to laughter and screaming wildly, and to sheer terror while they were hanging upside down combined with the spinning and tilting motion. Amusing! 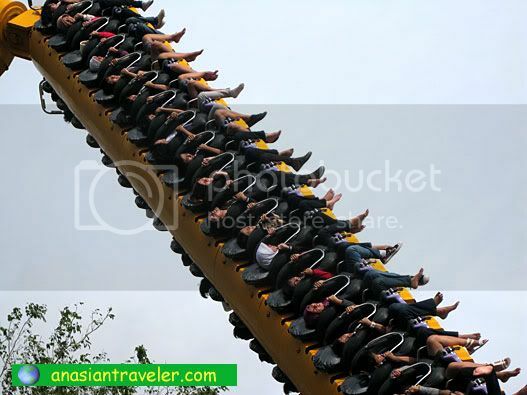 Here's the Tornado Ride VIDEO. Enjoy! 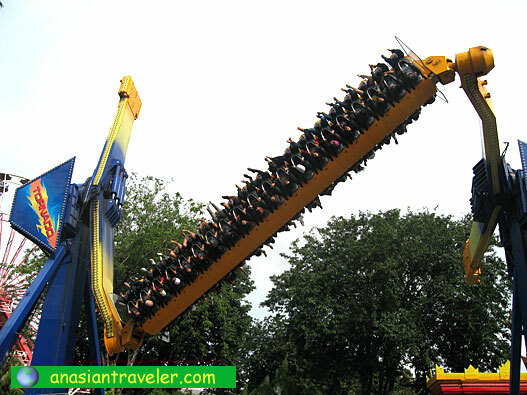 In my opinion, this is the best and popular amazing nerve-wracking ride at Dunia Fantasi in Ancol Dreamland. I'm pretty sure thrill seekers will never be bored. However, expect long queues. Oh, I wouldn't try that for sure... :) It looks scary! 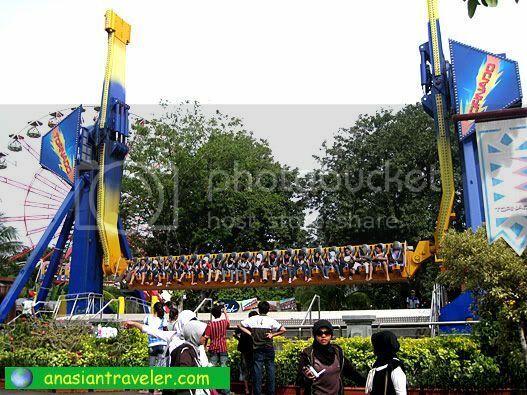 That looks like the Star Flyer ride in Star City. But the tornado ride I think is more exciting (more turning around). Nice entertainment. I hope we have that in Cebu. 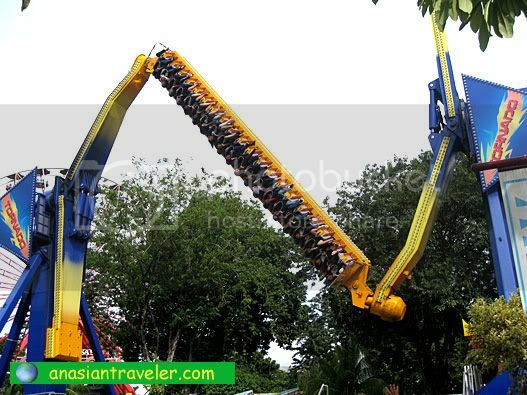 saw a few of similar rides like these and yeah - they are scary! 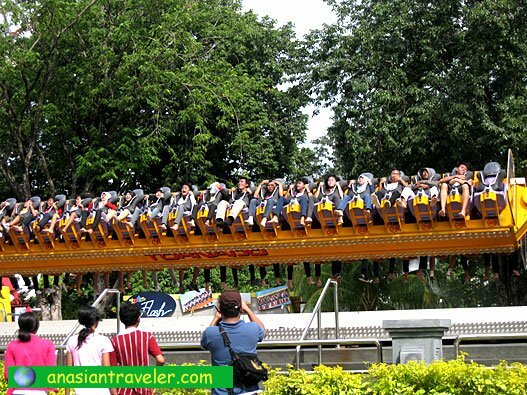 the only rides i've been on are the kiddie ones hehehe. i don't know if i can take something like this. whoa! death to those with heart problems. hahaha... but it really is cool because all the seats seems to be occupied. Hi and thanks for your visit to JHDP. Just looking at the photos scared me. I could just imagine the real thing. wow. that tornado ride was very cool! you're making me wanna go to djakarta right now! That looks exciting! I must go there! Great shots! 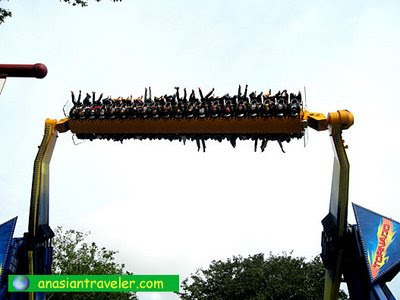 I don't think I have the guts to try that thrilling ride.